(Left to right) Peter Wooding, Chief Executive Officer of Three6Zero, Steve Kiefer, GM executive, and Sam Ogle, Editor of Automotive Supply Chain magazine. Awards season isn’t over yet, and at last night’s Automotive Leaders Summit at the Mandarin Oriental in Las Vegas, General Motors was named Most Supportive OEM. Additionally, GM vice president of Global Purchasing and Supply Chain Steve Kiefer was honored as Purchasing Executive of the Year. Now in its fourth year, the Automotive Leaders Summit is an annual conference hosted by international media company Three6Zero. Roughly 200 of the top automotive supply chain executives from around the globe were in attendance, and the conference featured several presentations and discussions regarding the global supply chain, with Kiefer serving as the opening keynote speaker. 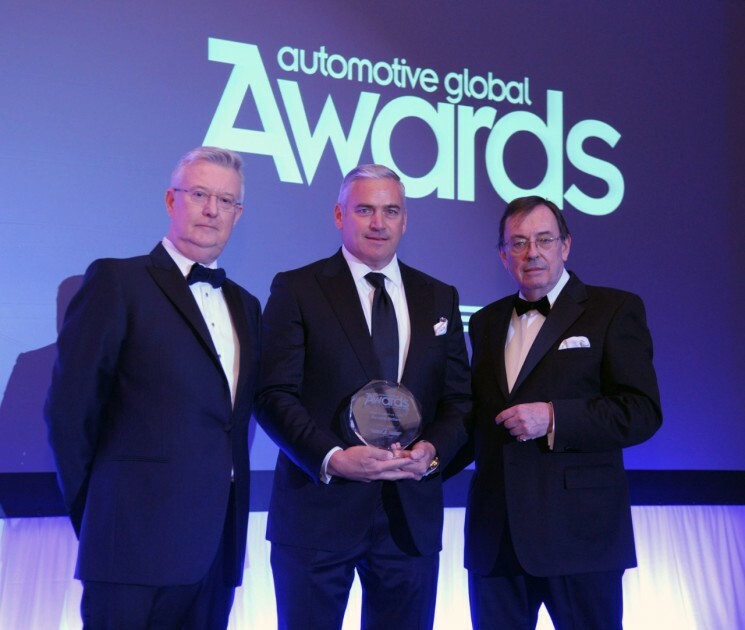 The conference’s black-tie Automotive Global Awards ceremony recognized individuals and companies in 25 categories. GM won its very first Most Supportive OEM award by besting BMW, Ford, and Volkswagen in online voting. The award—which was voted on by senior global executives from OEM, Tier suppliers, Logistics service providers, and automotive industry consultants—honors the manufacturer that has fostered collaboration and partnership with its service providers better than any other automaker. Steve Kiefer’s Purchasing Executive of the Year award recognizes the industry Purchasing executive who has demonstrated an exceptional ability to work closely with the supply base. Kiefer’s win last night represents the first time that a GM Purchasing executive from North America has won the award.